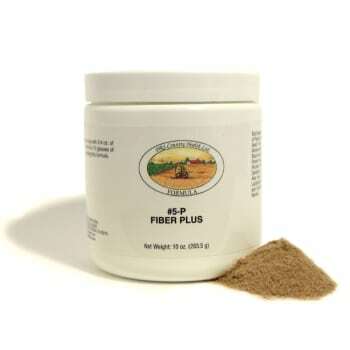 Home / CHF Formulas / CHF #1 - #10 / CHF #5P Fiber Plus Powder 10 oz. A high fiber bulking product in powder form. Patients with bowel problems are generally unaware of how their own bowel habits may vary from the “norm”. Since their problems usually stem from childhood, representing lifelong habits and since they have no standards for comparison, most patients assume that their bowl function is normal. Most patients who develop colon cancer, hemorrhoids, diverticulitis, fistula and fissure have had a life long history of difficulty with their bowels. In most instances, they suffer from habitual constipation. The usual cause of chronic constipation is a lack of adequate dietary fiber. Dietary fiber is generally obtained from the food eaten, specifically food from plants. Correcting the fiber inadequacy in one’s diet may help one to achieve normal bowel movements and normal bowel habits. A proper diet is conscious of calories, balanced nutrition, vitamins, avoidance of dangerous foods such as saturated fats, and attention to all sources of fiber. A typical diet of meats, dairy products, breads made from enriched or refined flours, and other starches such as potatoes, pasta and rice are very low in fiber. Some foods naturally high in fiber are dried beans, bran cereals (100% natural), broccoli, strawberries and sweet corn. Learning how to change ones eating habits takes hard work over many many months. The process can take up to six (6) months or more. While one is learning to eat properly or if one is “too old” or “too set in their ways” to take on this major change, supplementing CHF #5C Fibran, or CHF #5P Fibran Plus may help your bowels to function normally. Constipation can mean different thing to different people. For some it means not having frequent enough movements and for others it may be hard stools, trouble passing stools or a feeling of incomplete emptying after a bowel movement. You may have one or the other or a combination of both at some time or another. When this happens, you can use CHF #5LB to keep things moving normally. The University of Maryland Medical Center states that there are two different types of fiber, soluble and insoluble. Both are important for health, digestion, and preventing diseases. Soluble fiber slows digestion and helps your body absorb vital nutrients from foods. Insoluble fiber adds bulk to the stool, helping foods pass more quickly through the stomach and intestines. DESCRIPTION: A high fiber, bulk, herbal, acidophilus preparation for the relief of occasional constipation. 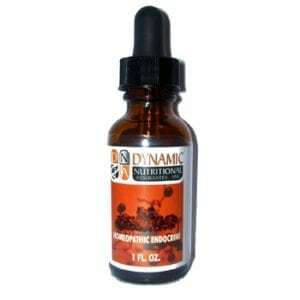 diet to increase intestinal motility as well as provide a gentle laxative effect. Psyllium Seed Husk, Fructose, Maltodextrin, Natural Flavor, Flax Seed, Apple Pectin, Papain, Bentonite, Guar Gum, Alfalfa Leaf, Bayberry Bark, Burdock Root, Kelp, Milk Thistle Seed, Echinacea purpurea Root, Slippery Elm Bark, Wormwood (aerial parts), Black Walnut Hulls (Tree nut), Corn Silk, Licorice Root, Rhubarb Root, Uva Ursi Leaf, Butcher’s Broom Root, Dandelion Root, Lactobacillus Acidophilus/Bifidobacterium bifidum Blend, Aloe Vera Whole Leaf Concentrate, Fennel Seed, Ginger Root, Clove. CONTAINS: Tree Nut (Black Walnut Hulls). SUGGESTED USE: As a dietary supplement, one (1) teaspoon (approx. 4.7g) with 2 to 4 ounces of purified water or juice one to three times daily, or as directed. Drink eight (8) to ten (10) glasses of purified water daily while taking this formula. Keep out of reach of children. This product should be taken with at least a full glass of liquid. Taking this product without enough liquid may cause choking. Do not take if you have difficulty in swallowing. CAUTION: This product is produced in a facility that also uses derivatives of Milk, Fish, Wheat, and Soy.